Access to the full content of this publication is available only to registered users. 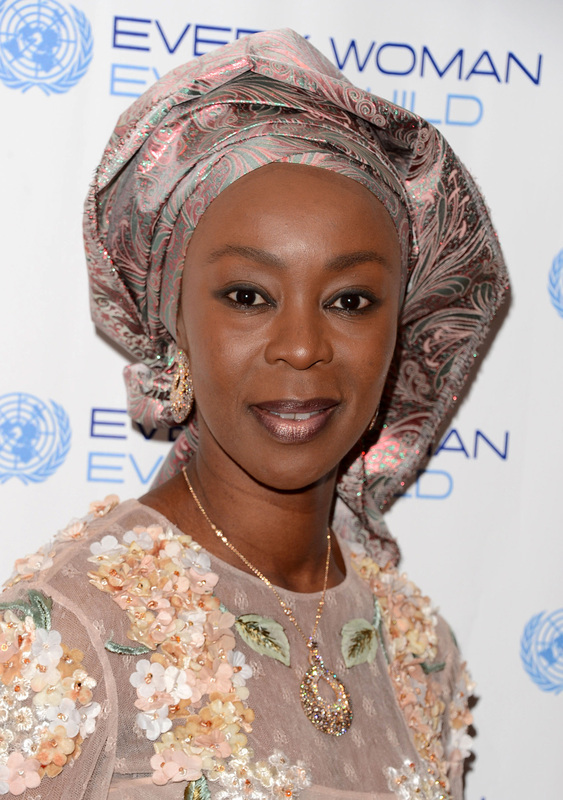 Toyin Ojora Saraki was born in 1964 to the Ojora Royal Family in Lagos. After completing her elementary school education in Nigeria she completed law degrees at the University of London. While in the U.K., she devoted much of her time to taking care of the sick, the aged, those with disabilities, and less privileged women and children. By the late 1980s she returned to Nigeria where she has practiced law and worked in banking and property development. In 1993, Ms. Saraki established The Lifestream Charity with a group of socially responsible friends. The organization sponsors children with heart deformities to receive corrective surgeries in Israel, the U.K. and South Africa. The Lifestream also builds schools, offers scholarships to needy students, and offers disaster relief. When her husband became the leader of Kwara State, Nigeria in 2003, Ms. Saraki, as First Lady of the state, led a movement for every citizen in Kwara to have access to education and healthcare and founded the Kwara Wellbeing Trust. Ms. Saraki also founded the non-profit organization the Wellbeing Foundation Africa which arose in part from her harrowing experience giving birth to twins and the loss of one of them. The Wellbeing Trust Africa works with numerous affiliate organizations in an effort to better coordinate non-governmental and governmental initiatives. It created a Personal Health Records initiative in Nigeria based on a successful program in the U.K. to document women’s health and share information with women about their health. Downloadable apps and mobile messaging give women access to real-time data that helps to reduce maternal and infant mortality rates and empowers women by making them more active participants in their own health. The Wellbeing Foundation Africa has become an influential and active organization in the area of maternal, newborn and child health. It works with the United Nations, the World Health Organization, and Nigerian ministries to deliver innovative health care solutions. The organization seeks to end genital cutting, supports midwives, contraception, free breast and cervical cancer screenings, and special initiatives to assist women with disabilities. In 2008, Ms. Saraki was named a Woman of Valour by the Nigerian Women Association in Atlanta, Georgia. Although she completed her service as First Lady of Kwara State in 2011, Ms. Saraki has not reduced her commitment to the women of Kwara and beyond. She has remained a strong proponent of helping Nigeria and other African countries reach their Millennium Development Goals in the areas of maternal and child health. Ms. Saraki has been featured in New African Woman magazine, on CNN’s African Voices, and by the Global Philanthropy Forum. In 2013, Nigerian musician Lynxxx joined with the Wellbeing Foundation Africa in its stance against domestic violence and and Ms. Saraki served as one of the keynote speakers at the inaugural, high-profile Women, Inspiration and Enterprise (WIE) Conference in Cape Town, South Africa. In 2014, Ms. Saraki received a Medical Marketing and Media Platinum Award for her outstanding contributions to Global Health. Ms. Saraki serves as Nigeria’s Save the Children National Newborn Health Champion and is the International Confederation of Midwives inaugural Global Goodwill Ambassador. Based on the literature on international development and personal success, why has Ms. Toyin Saraki (and the Wellbeing Foundation Africa) been so successful? Ms. Saraki believes in strategic philanthropy. Her Wellbeing Foundation has identified and is addressing a major social problem in Nigeria and it has demonstrated a LONG-TERM COMMITMENT to it. Although Nigeria’s maternal mortality rate has decreased by 24 percent since 1990, in 2014 Nigeria’s percentage of child deaths under the age of five remained one of the highest in the world. Ms. Saraki recognizes that maternal and child HEALTH cannot be improved through health initiatives alone, such as the Personal Health Record Initiative and related measures including the Wellbeing Foundation Africa’s ‘Mama Kit,’ which helps ensure that every woman has all the necessary materials to achieve a safe childbirth. Consequently, she has actively supported EDUCATIONAL EFFORTS including the provision of textbooks and furnishings to primary schools.